Max has sent me some more pics taken from his front porch. 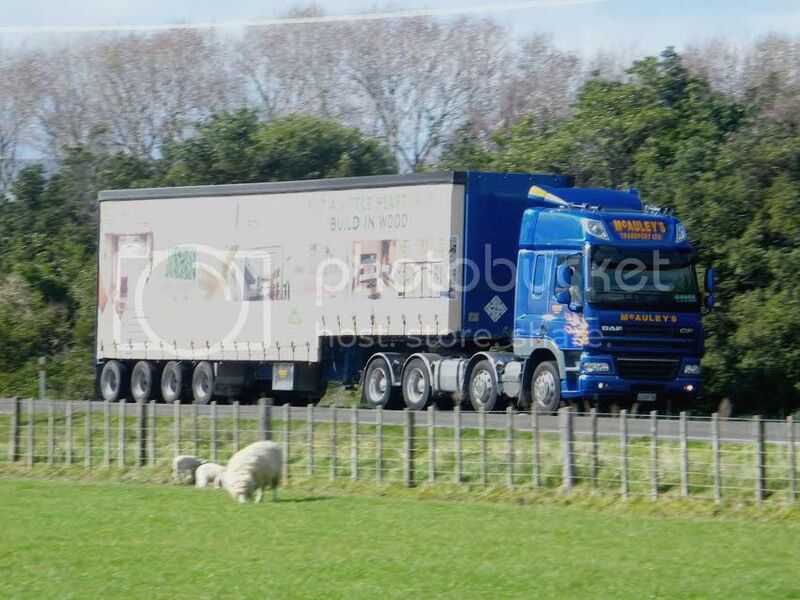 He lives on a very busy trucking road near Palmerston North. Apologies for some of the shots being a little blurry, but he hasn't used the camera for moving shots for a while and needs a little more practice getting the settings right. 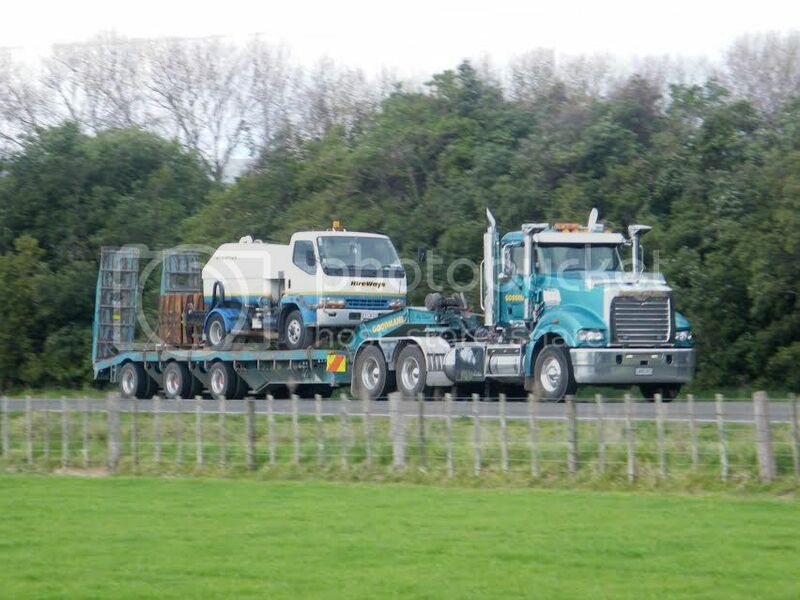 A Mack from Goodman's of Waikanae purrs along with an easy load of light Fuso. 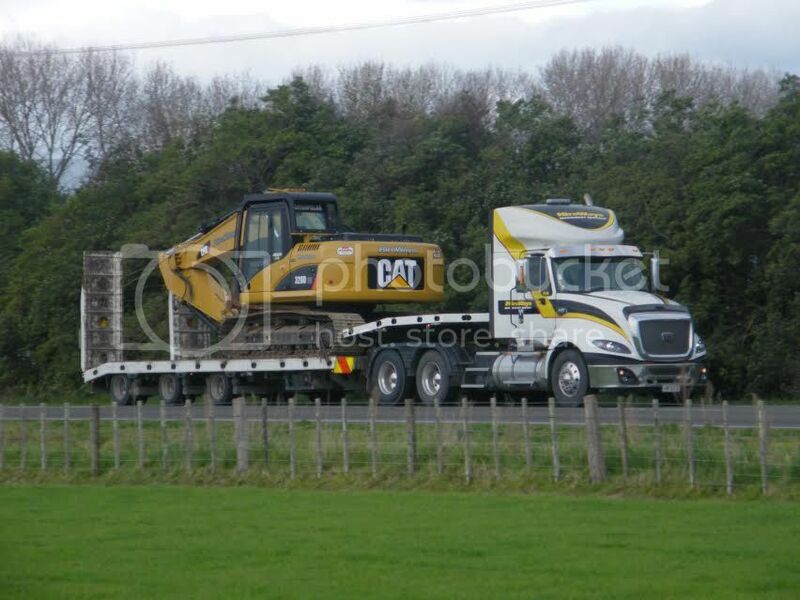 A not so easy load for this 2014 Hireway's Cat with Cat. 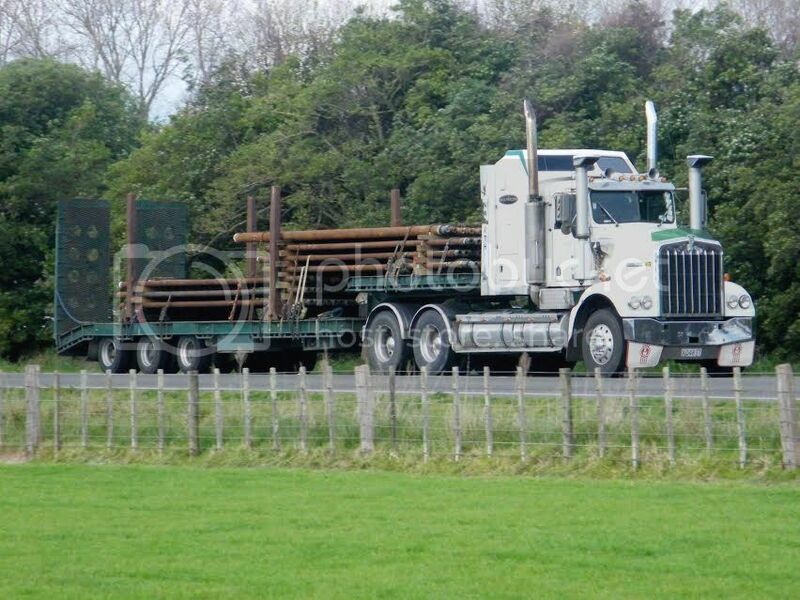 A 2007 8 wheeler Kenworth T404s of Weatherell's of Gisborne, pulls this unusual skirted trailer. No skirts on the rearmost axle, of course, as it requires clearance to steer. Big KW pulls a low loader of old rusty steel. The plate puts it as a 1976 W924, but looks to me more like a T950, which wasn't introduced until 1992. It appears not to be displaying any company name, just a V8 Supercars decal on the sleeper. Do I detect some sort of cheating going on? 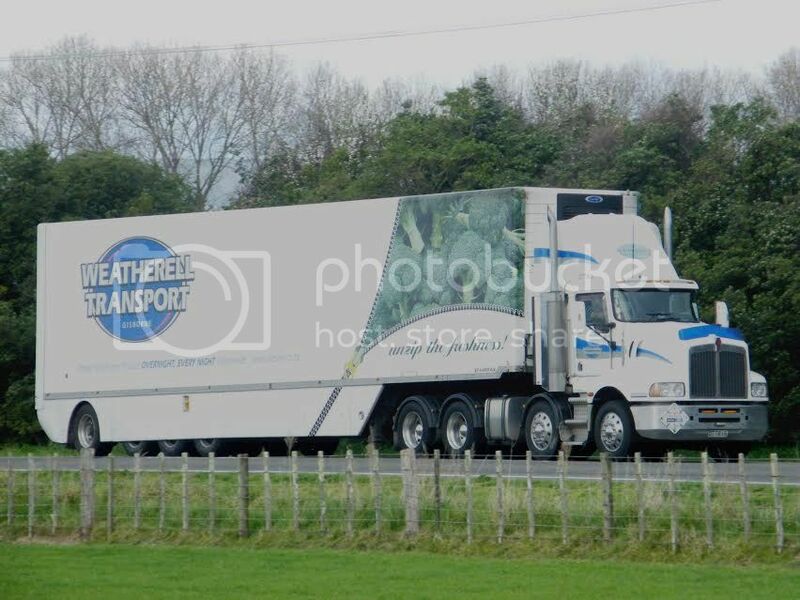 And from my home town, an 8 wheeler DAF of MacAuley's with 4 axle curtain side. This CF85 hit the road in 2013.